I'm starting to put together ideas for the kids' bedrooms and the first on the list is my daughter's room. Children's rooms are my absolute favorite to design...and as my daughter is getting closer to her teenage years, I want to design a room for her that reflects her current tastes, but that can easily be adapted to her interests as she grows. Here is my daughter's bedroom in our previous house. This has to be one of my all-time favorite kids' rooms that I've designed. 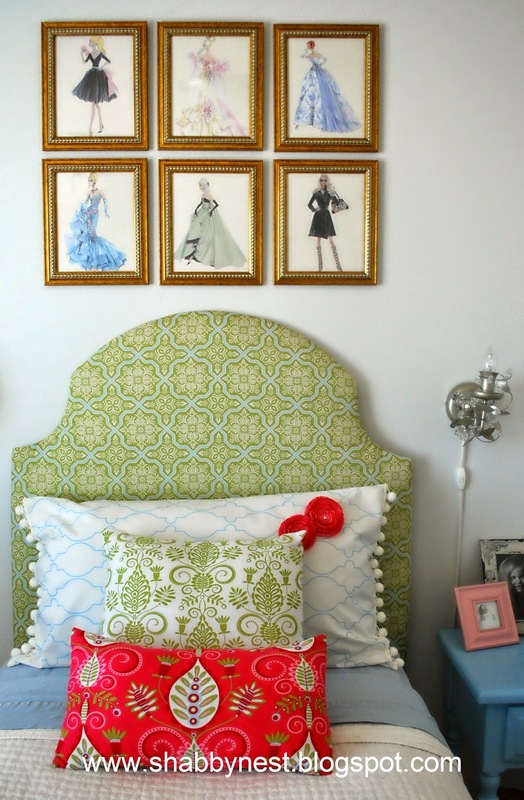 The mix of color, whimsy and sophistication is so appealing! I want to create a similar feeling in the new bedroom. The items pictured below are some that we have already gathered for the space, and they create a strong foundation upon which we can build the remainder of the room. Her current favorite colors are aqua and mint, so we're using those colors as a jumping off point while also incorporating colors such as navy and raspberry to ground the room. The furniture is going to be primarily white so that any change of favorite colors will be easily incorporated. 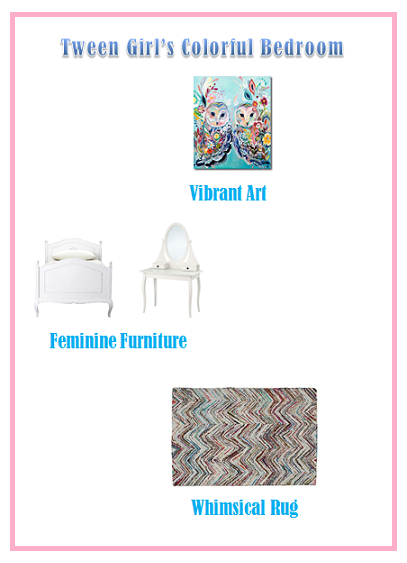 As you can see from the choices for an area rug and art, they lend themselves easily to the current color scheme, but can also be easily adapted to new color schemes. Plus, they both add an element of whimsy to the space which I think is extremely important in any room. A house should never take itself too seriously! I'm excited to put together the rest of this room and to share it with all of you as we work on it! I've also got an exciting project coming up in the living room that has me positively giddy, so make sure and stay tuned for that!